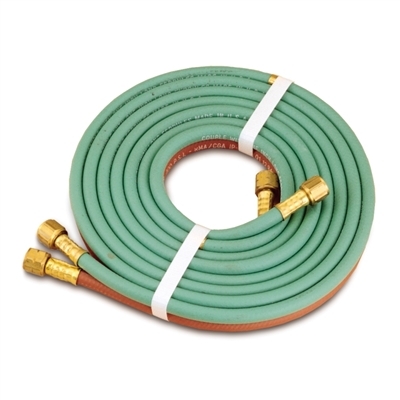 1/4" Twin Welding Hose for use with fuel gases (including acetylene). Grade T. Available in 12 1/2, 25 and 50 foot lengths. Please note that the 12 1/2 and 25' lengths have fittings on one end only.